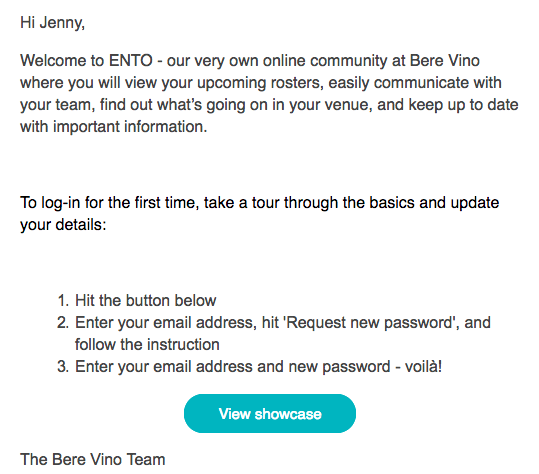 Alternately, when you’re assigned a workflow an email notification will have been sent, click the link in the email notification to go directly to the first stage of the workflow. Once in the workflow, actions the workflow manager must complete are displayed on the left, and actions for the staff member are displayed on the right. The light grey checkmark circle indicates the stage the workflow is waiting on. Once a milestone is reached it changes from light grey to a solid colour, and a check mark appears, in the same way it does for completed stages like forms and showcases. The training workflow below is waiting on the staff member to read the latest training blog post and acknowledge they have read it. A stage will turn red when overdue. 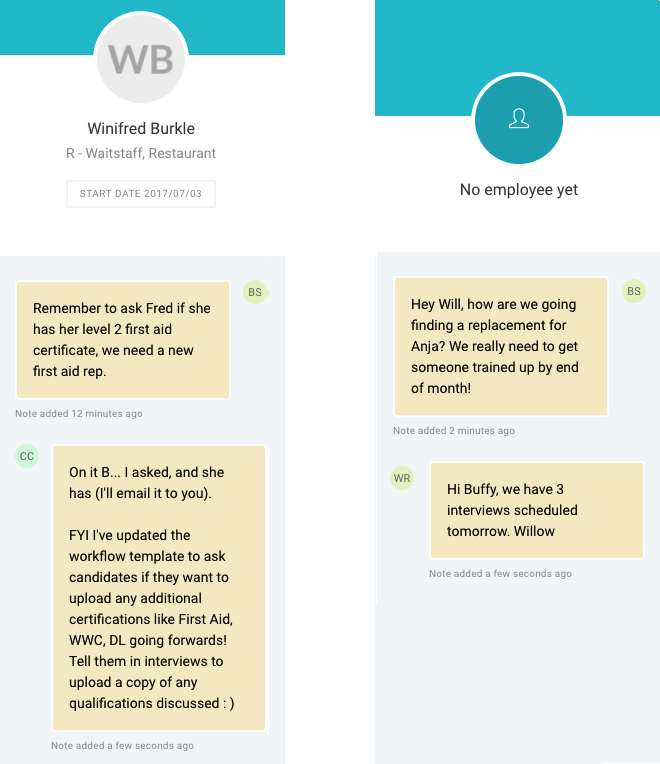 The messaging feature on the right of the screen allows you to easily reach out to the staff member to follow up on actions they need to complete. 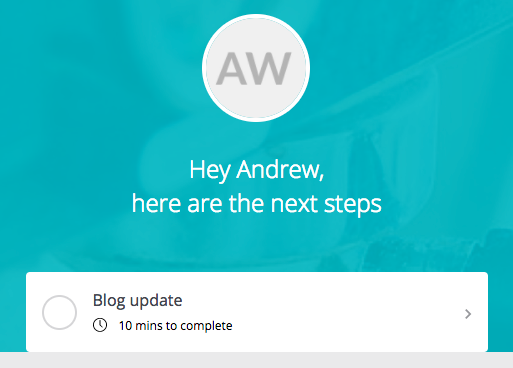 Send a message to follow up with a staff member to remind them to complete a required workflow action. Use the comments feature for internal notes about the workflow requirements for a staff member. As well as being visible in the sidebar to the right in a workflow, the workflow manager will receive an email when a comment is added to one of their workflows. As with other Ento communications, you can see outgoing emails in Communication > Outgoing messages. Search for type ‘Workflow message’ to see the status of a sent message, and if an email was delivered and opened. 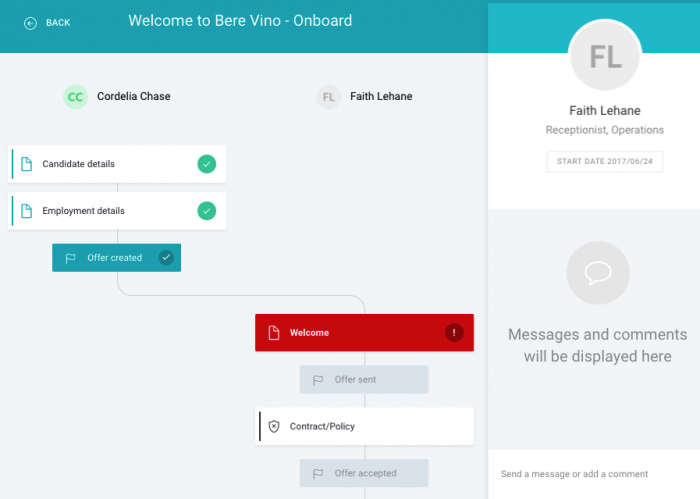 Onboarding & workflows provides an efficient, streamlined way to have staff sign contract renewals, update their details, accept new policies and procedures, and complete training modules with ease. As well as making things easier internally, good communication in this area also makes your company look great! Communications covered so far include internal comments and ad hoc communications. 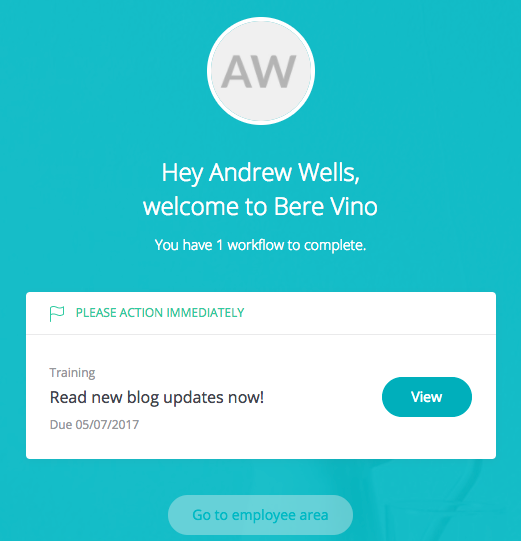 In addition to ad hoc emails and SMS messages sent to workflow managers, staff assigned to a workflow receive email notifications whenever they are assigned a stage of a workflow to complete. 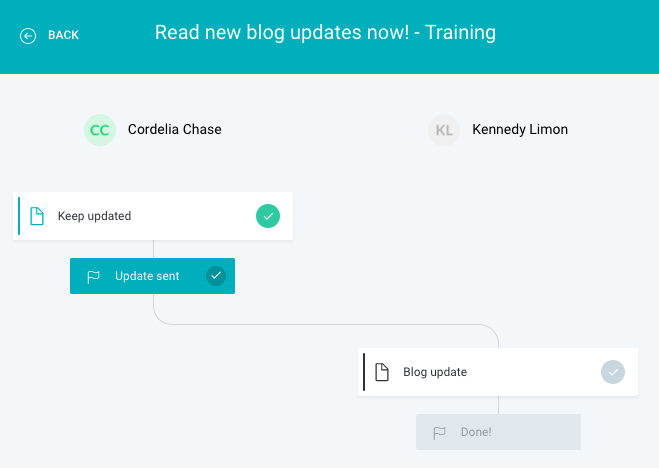 As a staff member completes their assigned stages and each milestone is marked off, you as workflow manager will be notified by email and you’ll see the progress in the Workflows dashboard. The staff member will see their own dashboard in Ento, displaying any workflows they need to complete.